20 youth ZM wrestlers competed in Goodhue on Saturday. We had kids of all ages and experience participate. Each one wrestled hard and displayed outstanding sportsmanship, win or lose. Proud of you boys! The 2016 5002 Club members will be introduced in front of the home crowd prior to the dual with Dover-Eyota on Thursday night. Come join us in recognizing these young wrestlers in this great accomplishment! 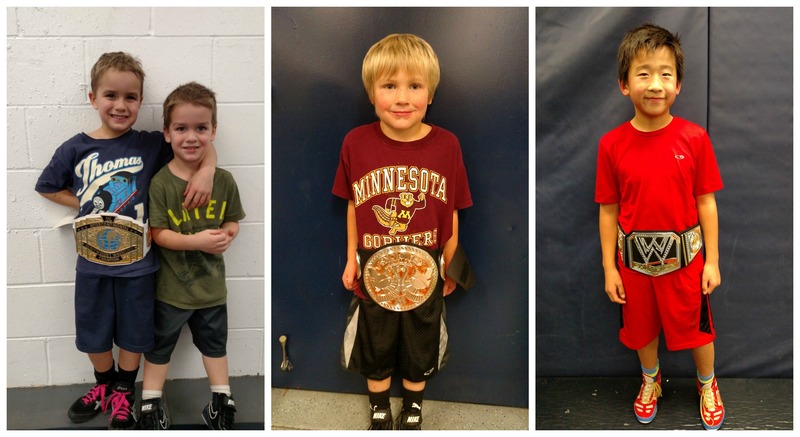 Our youth wrestlers of the week are brothers Levi and Jacob Matthees, Max Rockne, and Ben Murray. Levi is in kindergarten and Jacob is in PreK. They are sons of Jeff and Michelle. Max is a 1st grader, son of Matt and Nicole. Ben is in 5th grade and son to Matt and Martha. Thursday- Youth open mat at 6:00. High School @ Home. Stew at 5 PM, DE ~ 7:15 PM. 5002 Club Intro before DE match. Friday: Youth individual tournament in Pine Island.